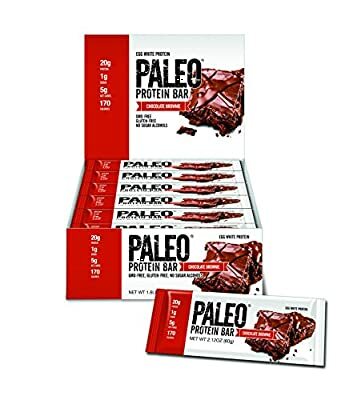 One of the main reasons we created this protein bar was because I was tired of consuming bars on the market that made me feel worse after I ate them than before. Almost every bar on the market is packed with Sucralose & GMO's (soluble Corn Fiber) which can cause weight gain or other health issues. Other bars also contain sugar alcohols which can cause an upset stomach/gas. Our Paleo Protein Bars were specifically designed with Organic Prebiotic Fiber from organic Tapioca (Now w/Probiotics!) which helps improve digestion and make your stomach feel amazing while curbing appetite (up to 4 hrs without bloating). 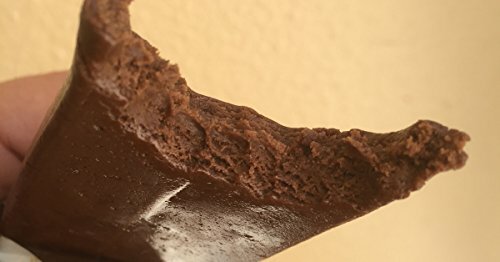 This bar has 170 calories and makes it so it's easy to reach your weight loss goal as these bars curb appetite and are packed with healthy fats and protein. Almost all bars contain whey or milk protein isolate which is mucus forming and our bars do NOT! These bars are dairy free & whey free made with the most bio-available protein on the market (Egg Whites) . Made with Real Food Ingredients! (Can be used for a snack or meal replacement) Our bars have no sugar added (1g naturally occurring) Sweetened w/Monk Fruit. Warm bar for 5 to 10 seconds for a soft gooey fresh brownie experience!